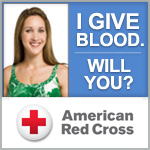 The 25th Annual Carolina Blood Drive is fast approaching. We have only gotten 270 appointments scheduled [as of 5/13/13]. We need your help to make this a success! Please sign up today! This entry was posted in Summer Blood Drive on May 13, 2013 by Lynn Eades.